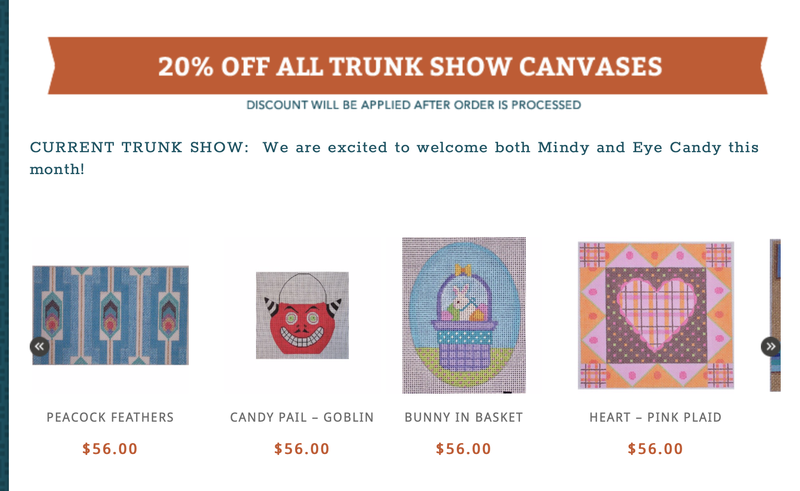 EyeCandy Needleart: Trunk Show This Month At The Needlepointer! This month The Needlepointer in Edmonds Washington is hosting my trunk show! You can order from their website and get a 20% show special discount!